After featuring a number of data maps and navigation-focused ones recently, it’s nice to have something completely different. 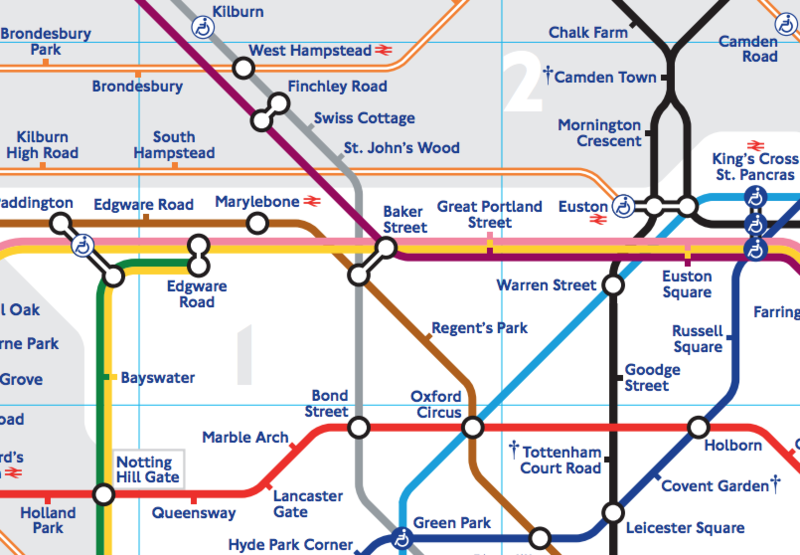 This is “London Mapped Out” (there’s also a Scotland version) which is produced by Couthie. 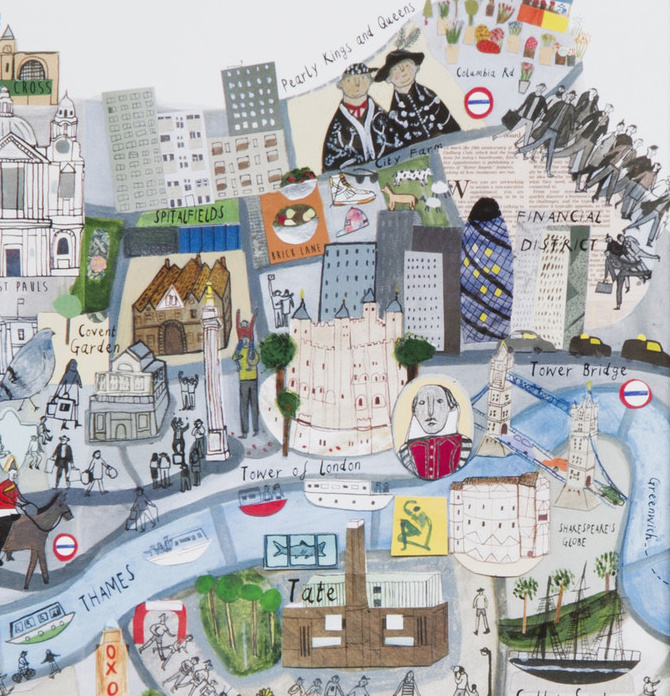 It is a colourful collage of famous sites in central London, from Columbia Road flower market in the north-east, to Wimbledon with Murray Mound and a pitcher of Pimms in the south-west. The graphic captures, in a single print, the sights and experiences that a stereotypical London tourist might want to see. I particularly like the various animals of Lodnon zoo, supplemented by various other animals of the canine variety, being walked over the nearby Primrose Hill. 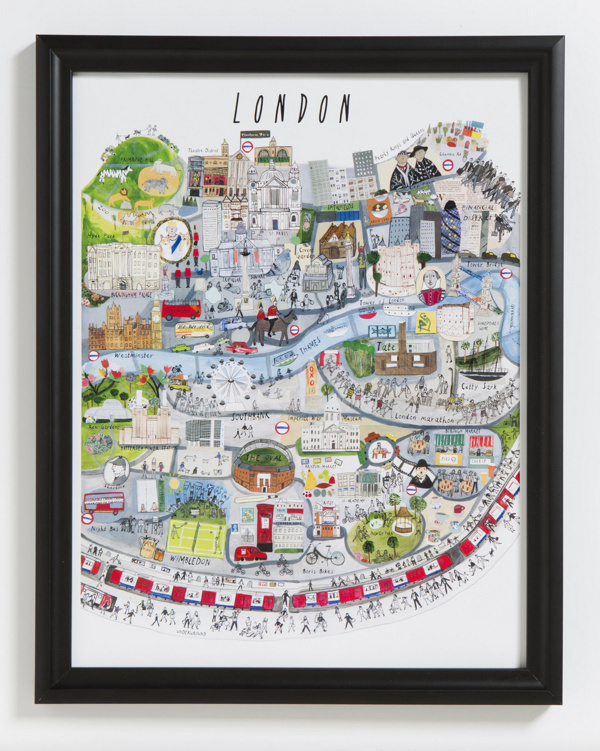 There are prints and postcards, very reasonably priced, of the whole graphic and individual vignettes, on the Couthie website, where you can also explore the full map, at high resolution, online. See the full range here at the Couthie shop or on the artwork’s dedicated website. Thanks to Ruth Alder at Couthie for sending us a review copy!